Unique head design which allows for both right and left use. Cleverly designed for those 'chip and run' shots and awkward positions around the green. 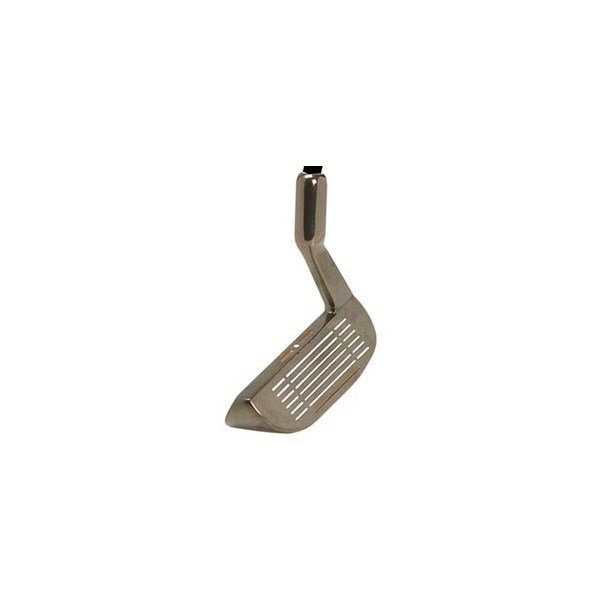 Nickel plated alloy head giving this club aesthetical and functional look. Centre marking design on the top of the chipper allows for easy alignment. Club fitted with steel shaft and Longridge tour wrap grip. According to the rules set by the R&A (2008-2011) in Appendix II - Design of Clubs, Rule 4 (Clubhead) d (Striking Faces), a club may not have two striking surfaces, except in the case of a putter, and then only if the striking surfaces are the same and opposite each other. 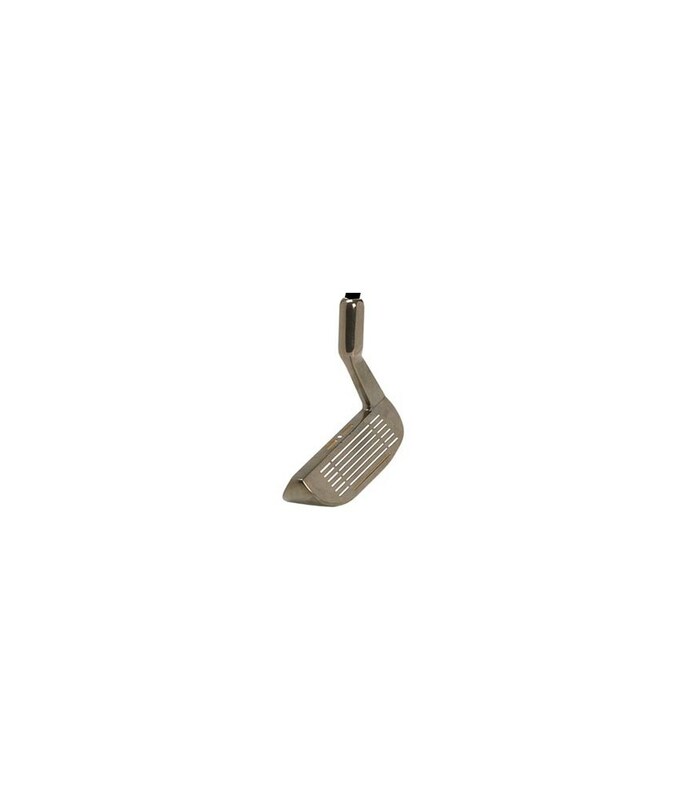 Therefore this club may be used in practice rounds, but not in competitive rounds.